Men are difficult to buy for be it for a Christmas or Birthday Gift. I think watches are always a great gift but do have firmly in mind what I am looking for. Ideally, if money were no object, I would go for the full Omega James Bond watch at £7500 from Amazon. 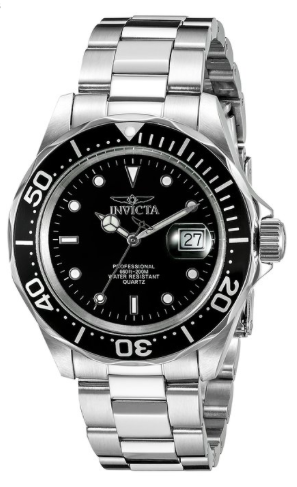 However, if don’t want to take out a second mortgage in order to enjoy the look of a James Bond watch then the Invicta Pro Diver watch does pay homage to the Omega 007 version and only for £142.99. Invicta Pro Diver have various different colours and finishes all as desirable as each other.